I find it funny that we traditionally set intentions in dead of winter at the calendar New Year. The days are grey, the nights are interminable and everyone, it seems, is in hiding from the harsh, cold nothingness that surrounds us. Personally, I’m at my lowest of the year – the least inspired, least energized and certainly the least motivated. In an effort to be as broad as possible, I usually set intentions to be less judgmental, or to be open to new experiences, and while all worthy endeavors, I notice they lack a certain aspiration to greatness. They’re missing that extra so-what required to reach our full potential. If we don’t shoot for the stars, we’ll never even make it off the ground. Now if you catch me in the middle of summer, I’m witty, full-spirited, motivated and usually a bit more clear-minded thanks to all that extra Vitamin D. That’s why I love using this time halfway through the year to reevaluate, clarify or even change completely my goals and intentions for the year. You’re six months smarter and stronger and now is a good time to steer yourself in a bigger, better direction. Use the influx of energy in the world around us, the extra light, the extra warmth, to move yourself out of your comfort zone into a new level of growth and self acceptance. You are always worth the effort to make yourself better! One of my goals for the year, as its been clarified, is to allow my creative spirit to really flourish. In that endeavor, I’ve been doing a lot of cooking and baking, painting and writing, all in an effort to grow. Bigger, better, deeper, more completely aware of myself. 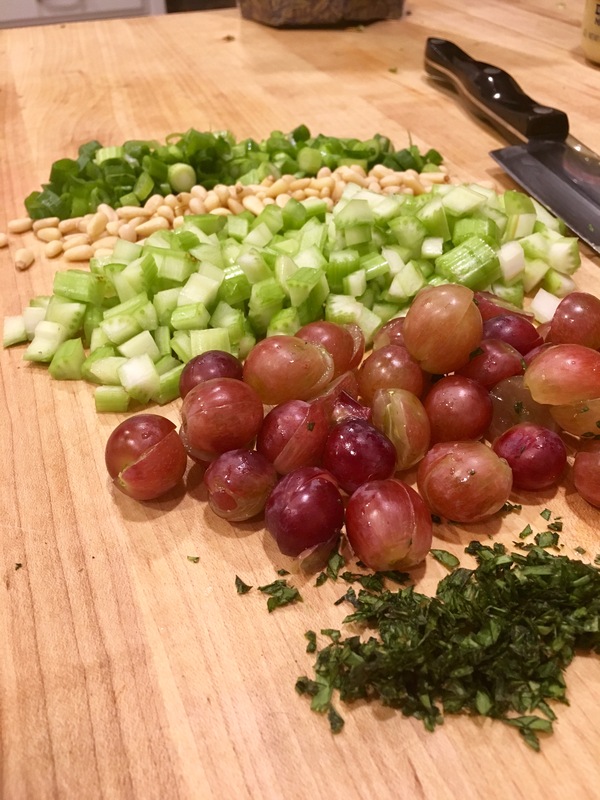 Cooking has always been a creative outlet for me and in the past few months I’ve been trying new recipes and learning new tricks; picking up whatever I could to incorporate into my own cooking for my family and friends. I really just wanted to move past the ol’ grilled chicken and cheesy potatoes with broccoli meal, you know? Now, chicken salad is certainly not difficult to make but great chicken salad takes a little finesse. I’ve done the research, feeding everyone and anyone different kinds: curry,walnut, mayonnaise, no-mayonnaise, grapes, craisins, fennel, relish, no-relish, mustard…you get the point. 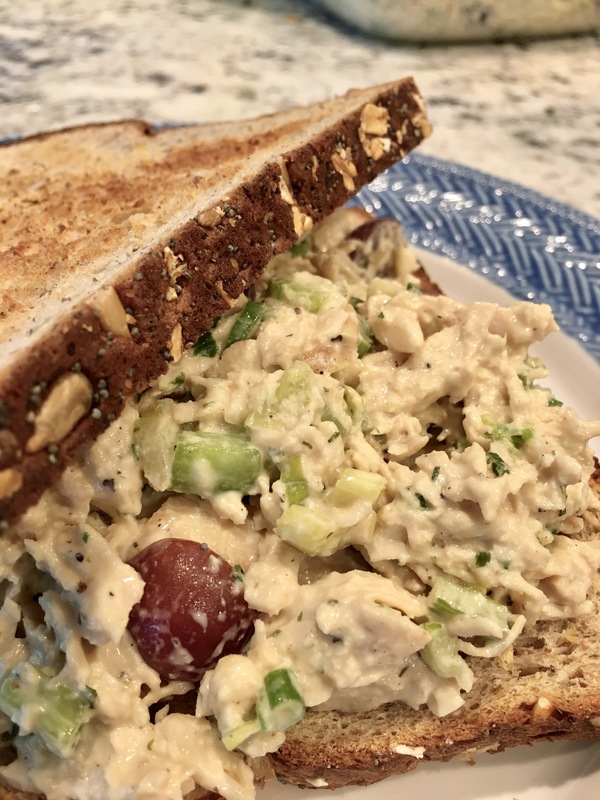 I think chicken salad is the perfect lunch or snack, and, when you’re mindful about the ingredients, a healthy one to boot. 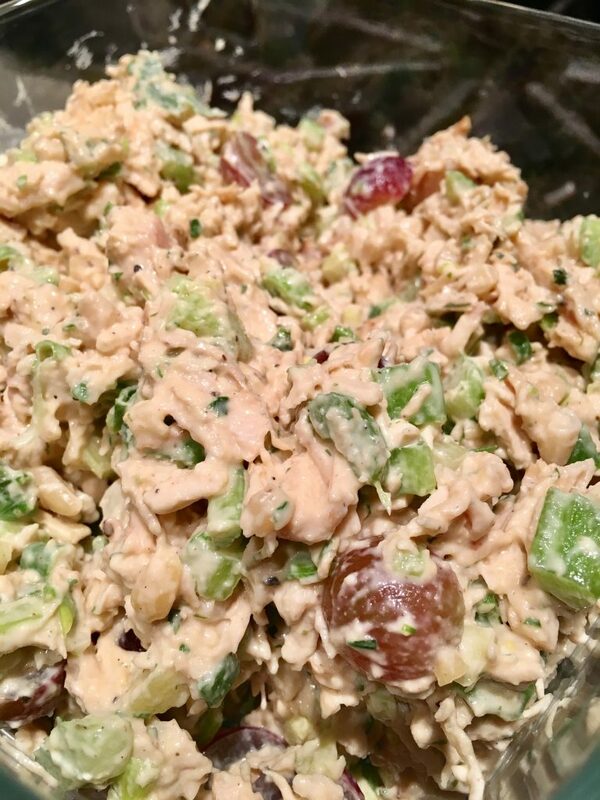 Of course we all have different ideas about what constitutes the perfect chicken salad, so I encourage you to doctor this up however you and your family desire. 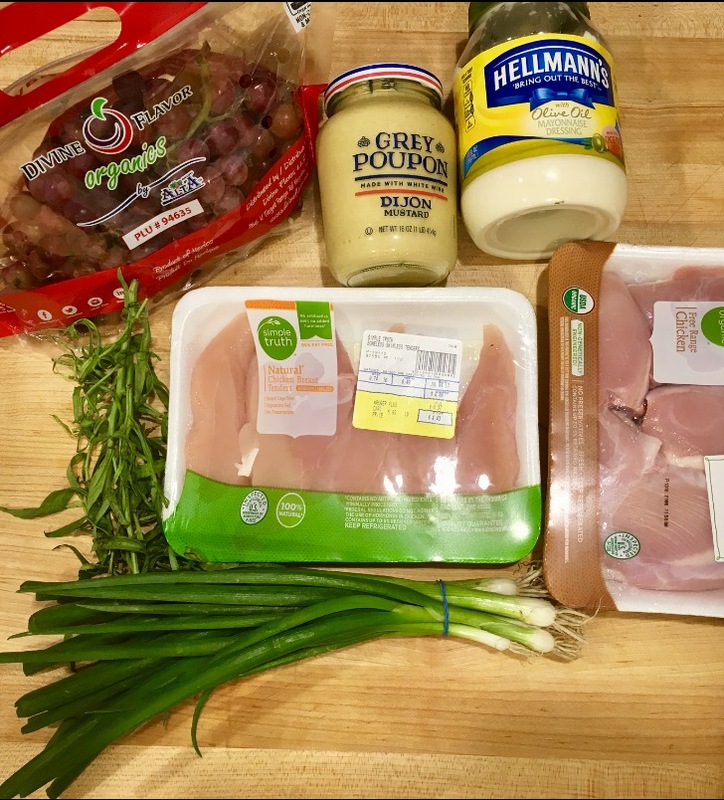 There are, however, a few ingredients that absolutely make or break this chicken salad. Quality mayonnaise, pickle juice, and tarragon. Good mayonnaise, real mayonnaise, is literally the glue that holds this together. I’m definitely not going to tell you to make your own, but buy a good jar made with real ingredients. 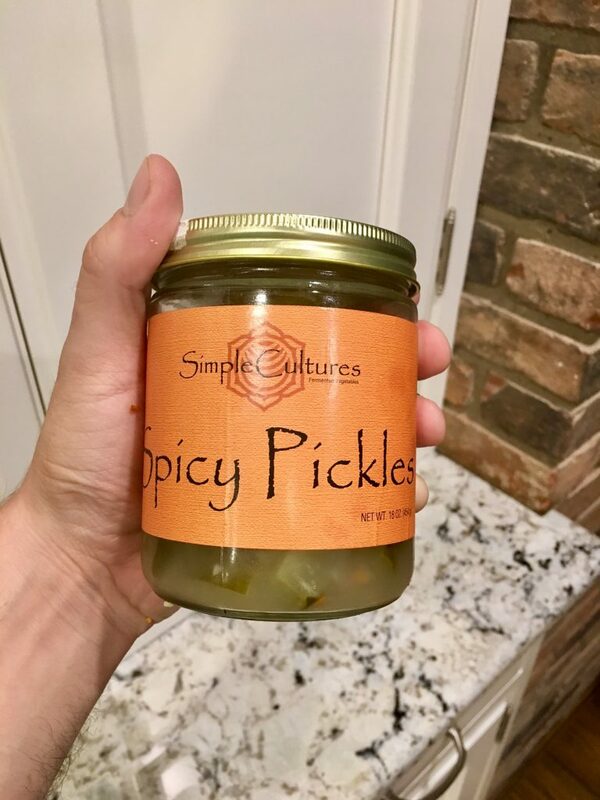 Pickle juice seems like an odd addition but it imparts a bit of delicious brine that really lets the rest of the flavors shine. Your pickle juice can do even more for you if it’s fermented. Check out Simple Cultures website to learn more about the fabulous probiotic benefits of fermented foods. And finally, tarragon is a fresh herb that boasts a delicious herbaceous flavor that only gets better as it melds in the refrigerator. Whether you’re making a classic, curry or BBQ chicken salad, tarragon adds that extra something fresh. Season and cook the chicken either grilling or baking until cooked through. Using two forks, your hands or Meat Claws shred the chicken enough to break it up without turning it into paste. Nobody gets mad about a hearty piece of real chicken! 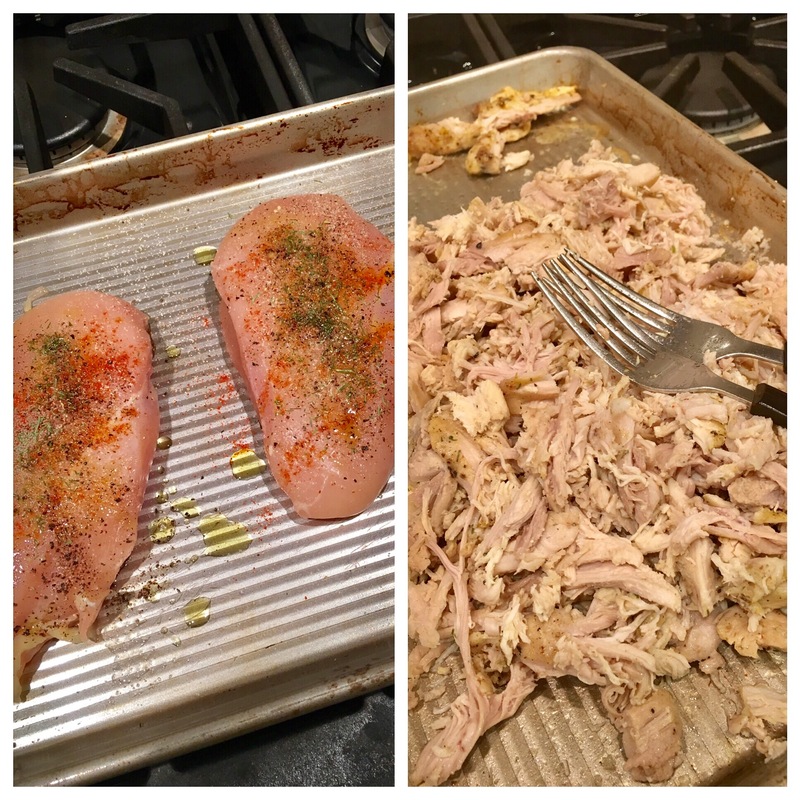 Combine the shredded chicken and the remaining ingredients in a large bowl, mixing well. The salad has the best flavor after a night in the refrigerator but is totally edible right away. On a salad. On toasted bread. Right out of the bowl. If it lasts that long, this will stay fresh in the fridge for up to a week. Mine usually makes it about halfway through the week before I’m pestered into whipping up another batch. This one is truly a crowd pleaser! Take some time for you. Shoot for the stars. Eat well. Stay healthy!